“Thanks for sharing,” Jody coyly says to me as the autumn winds blows and cold drizzle sets in just after sunset. Sure, I checked the weather and told her the high temperature for the day, along with the chance of rain we could suffer. But she’s a smart, well-educated woman, and clearly should would understand the nighttime lows, especially given we’ve been sleeping with the windows open the last couple of days. “Cold is a state of mind,” I flatly respond with my oft-repeated joke of how they taught us to embrace cold in Navy SERE (Search, Evasion, Resistance, Escape) training. She does nothing but glance disapprovingly in my general direction. Earlier, things were different as the processional came into view as it passed over a rise in the roadway on the horizon. 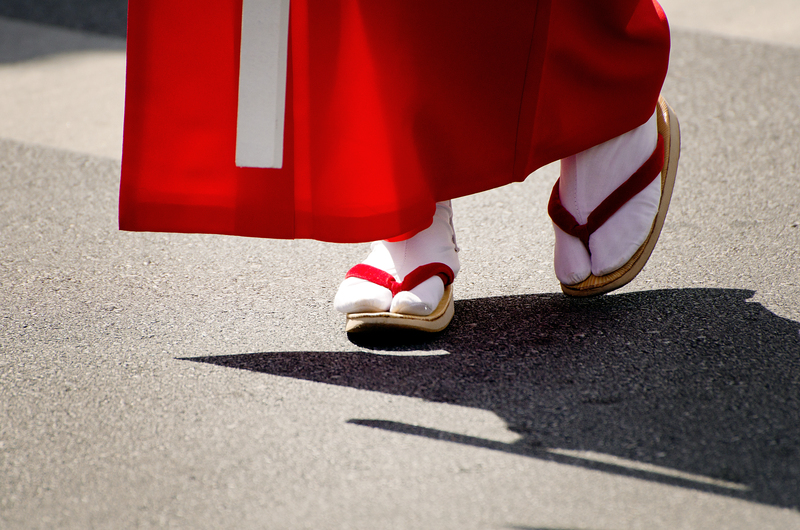 Even at this distance, the colors and pageantry of the parade already shine true in the bright afternoon Okinawan sun. The crowd gathers has the spectacle closes, and slowly the somber sounds of Chinese horns, drums, and hand cymbals grow ever louder, setting the tone and cadence for all involved. The pace is dignified and slow, and the King and Queen held high in their large, ornate litters. 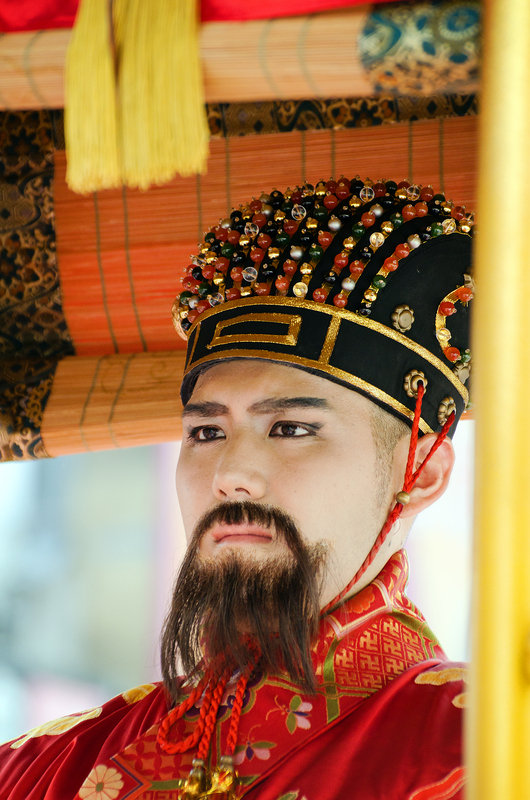 And so went the Royal Ryukyu procession of guards, warriors, musicians, and dancers for the Chinese Investiture Envoys for the next two hours…. 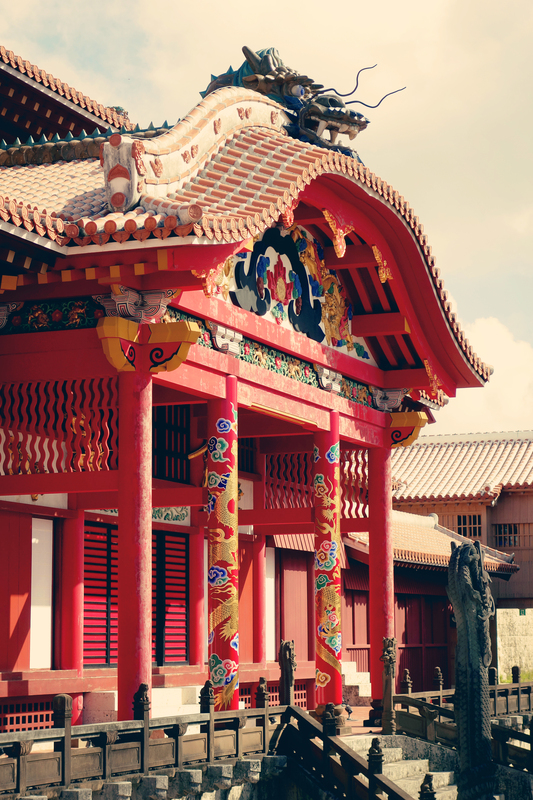 The Shuri Castle Festival is certainly one of the biggest annual events on Okinawa. 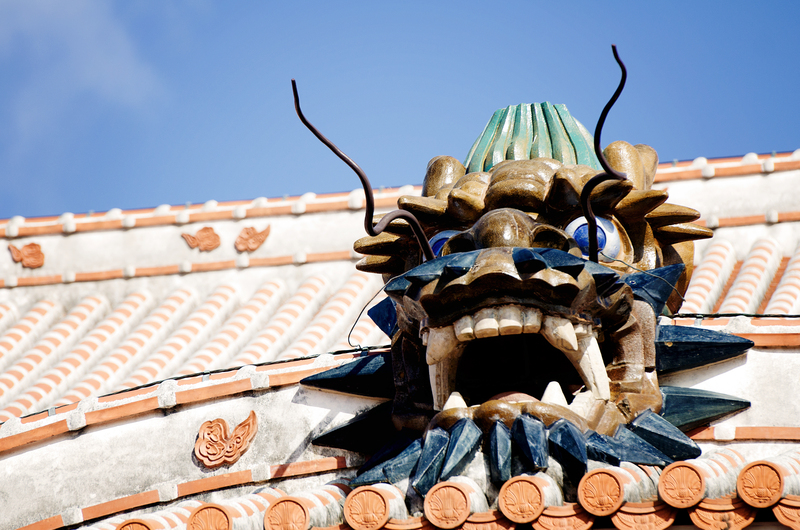 And there’s no mistake that it’s held in conjunction with the Japanese National Holiday, “Culture Day.” For a day, the capital city of Naha is transformed into the Ryukyu Kingdom’s old hub. 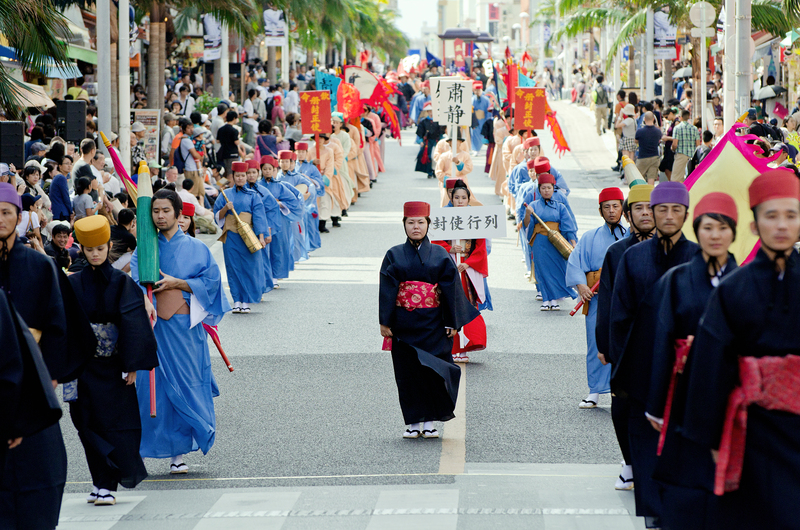 The Ryukyu Dynasty Parade is truly a splendid sight to see. 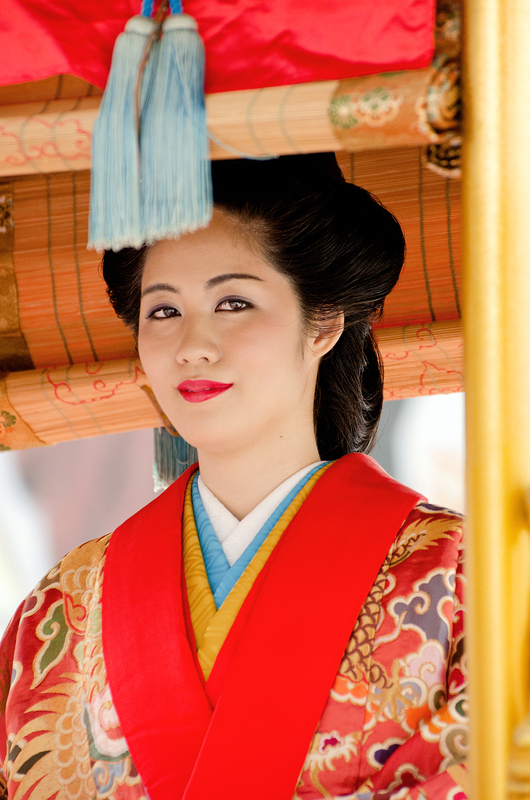 A grand parade in brilliant period dress recreates the Ryukyu Kingdom’s most formal and picturesque procession. 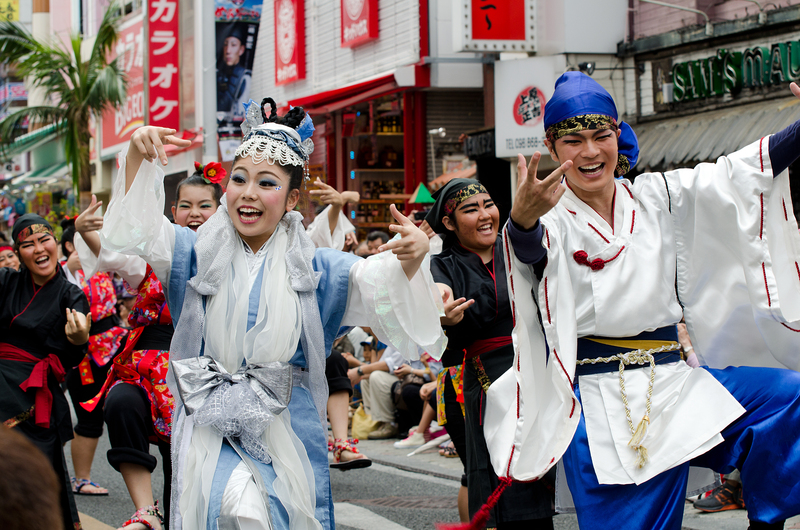 In three groups — the dignified King and elegantly beautiful Queen’s procession, the dark and mysterious envoys’ procession, and the colorful and lively traditional arts procession — a throng of almost one thousand costumed period players parade along Kokusai Street in downtown Naha, the same route that has been traveled over the past six centuries. 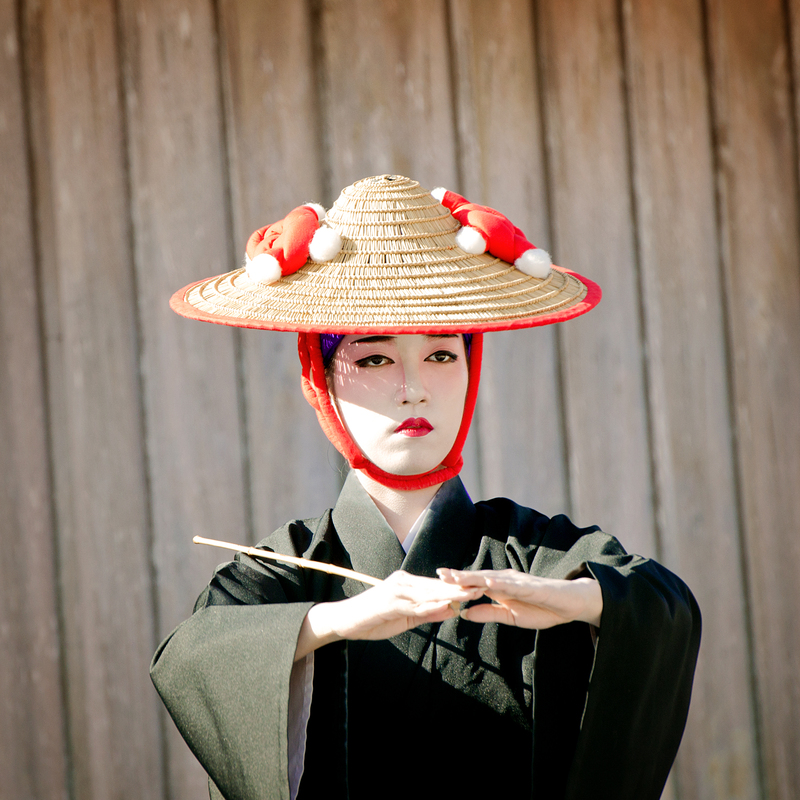 The costumes are authentic, down to the same stitching used in robes and gowns worn in antiquity. 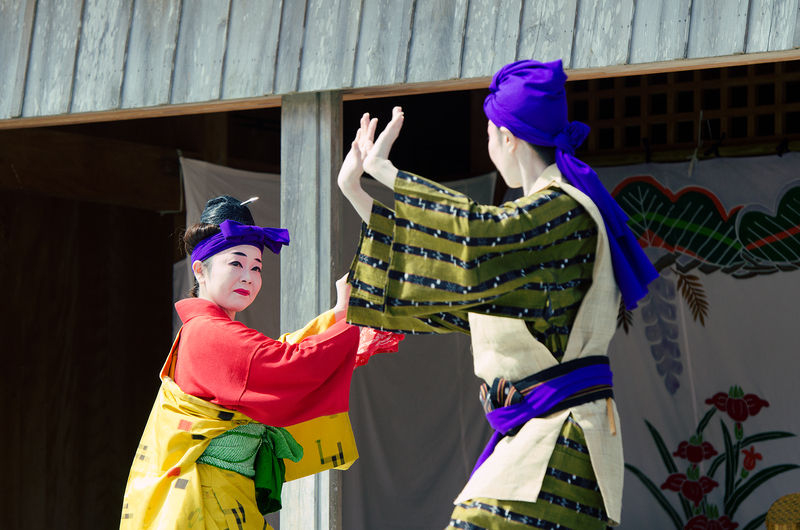 At the same time, traditional song and dance is performed free of charge and on-site at the castle’s park. 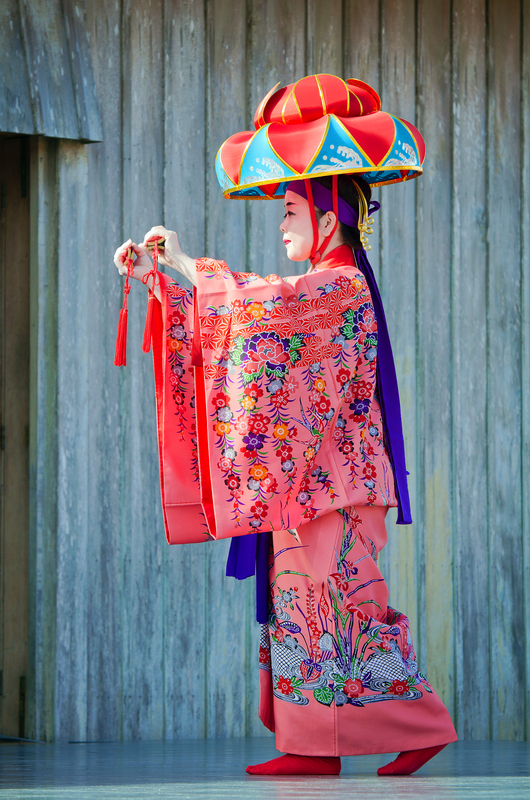 Clearly, to the Okinawans, this is more than just a chance to dress-up; rather, it’s a city-wide embrace and revival of the Ryukyu Dynasty in all its former glory. 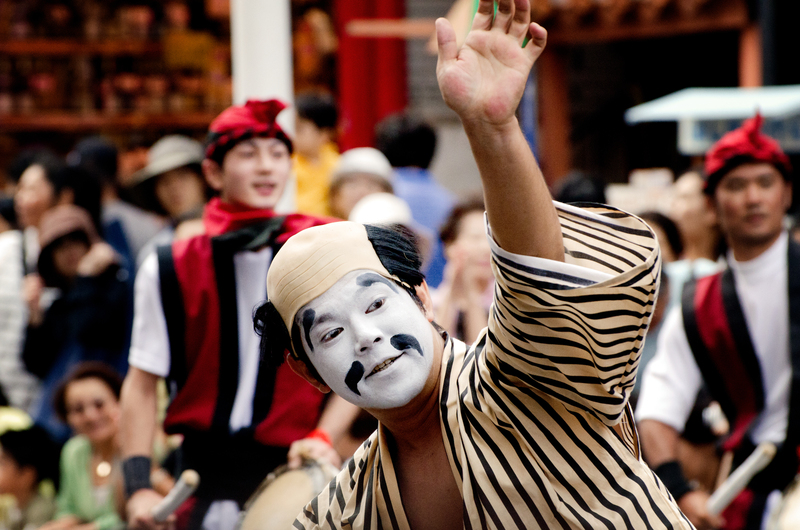 Culture Day (文化の日, Bunka no Hi) is celebrated annually on November 3. 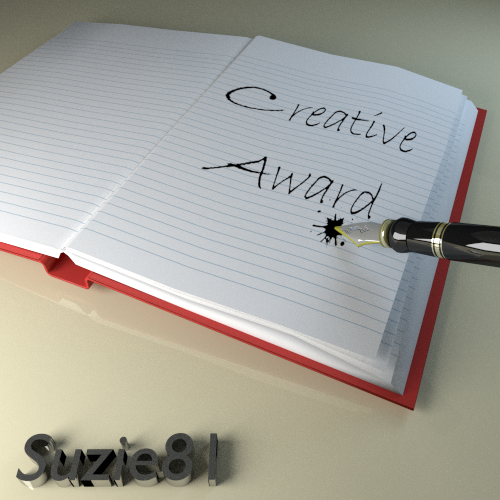 It is expressly set aside by the government to promote culture and the arts. 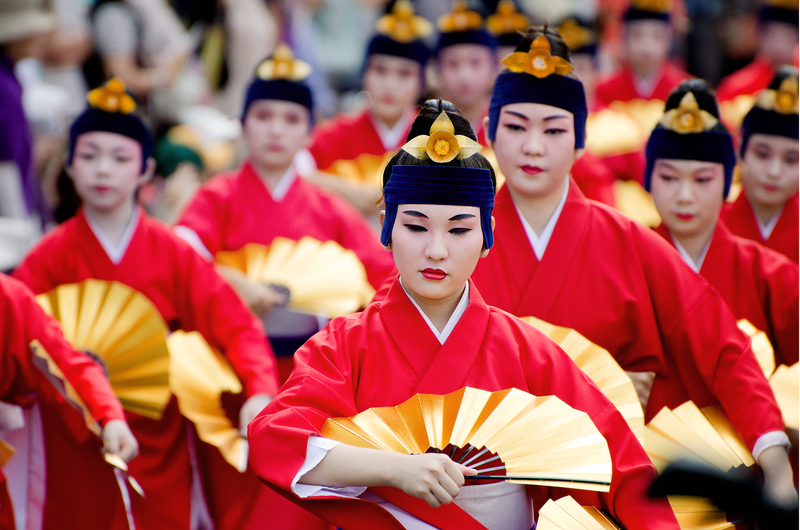 Events typically include art exhibitions, parades, and in Tokyo, even an Imperial award ceremony for distinguished artists and scholars. 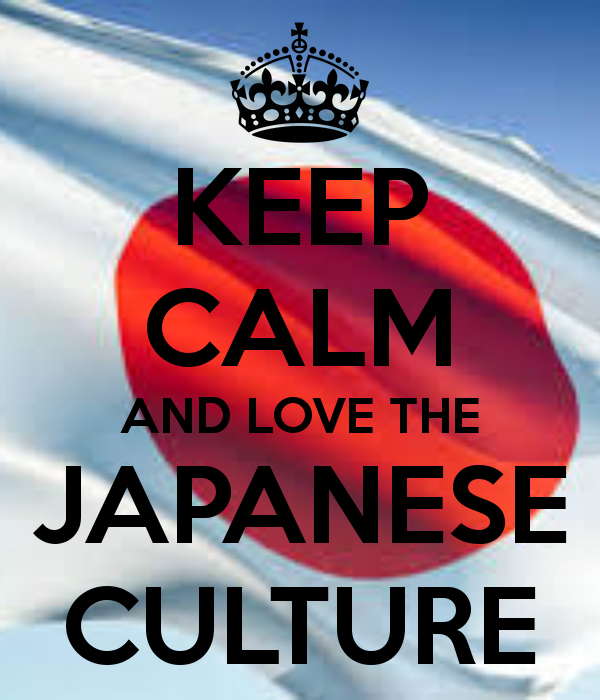 Please not this kind of Culture Club in Japan! 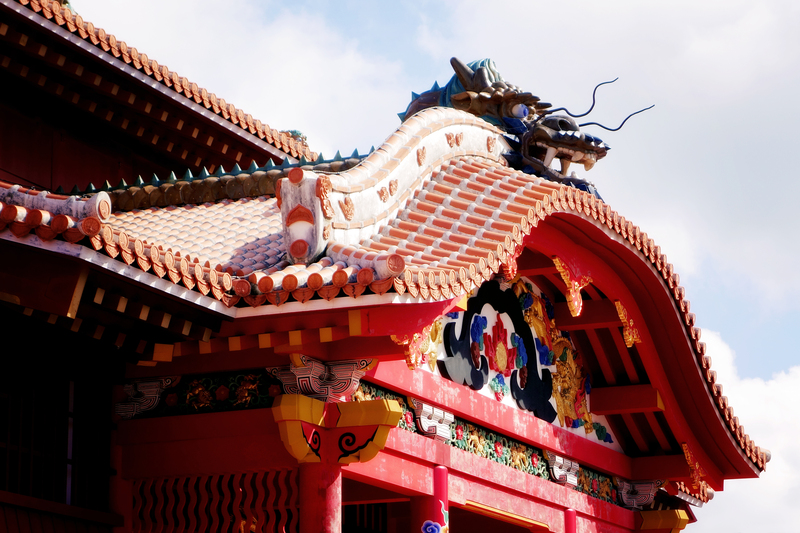 Still more to Okinawa than this…. First held in 1948 to help promulgate the ideals of love of peace and freedom organic to the post WWII Japanese Constitution, its roots go much deeper. 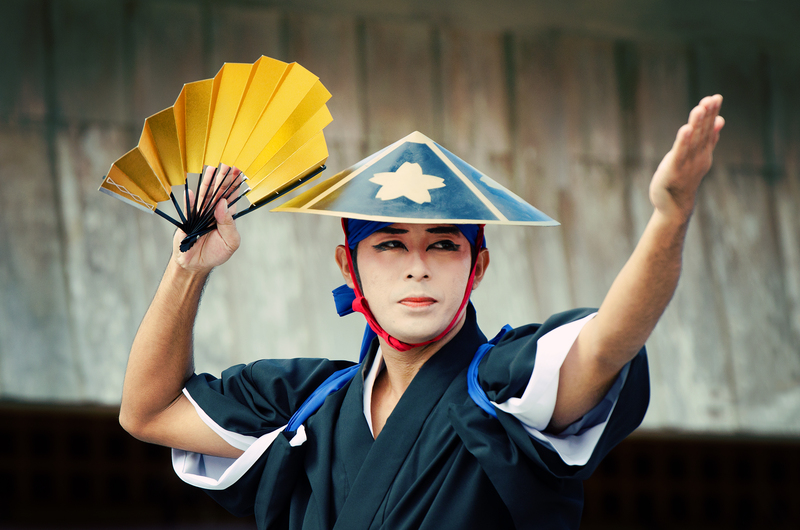 November 3 was first celebrated as a national holiday in 1868 when it was called Tenchō-setsu (天長節), a holiday held in honor of the birthday of the reigning emperor. An interesting aside, the Emperor’s Birthday (天皇誕生日, Tennō Tanjōbi) remains a national holiday here, but with a differing date based on the specific reigning Emperor. For contemporary Emperor Akihito (born in 1933), it is celebrated on 23 December. During the reign of Hirohito (Showa period, 1926–1989, the sitting Emperor during WWII), the Emperor’s birthday was observed on 29 April. 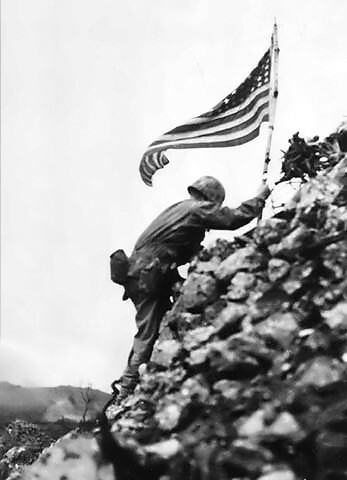 Due in part to the nation’s reverence for Hirohito, regardless of how western history taints his role in the incitement and sustainment of World War II throughout Asia and the Pacific, that date remains a public holiday, but was renamed Greenery Day in 1989, and then finally Showa Day in 2007. Coincidentally, and oddly enough, Showa Day also happens to be the same day in which the Allies’ International Military Tribunal for the Far East condemned key officials of the Imperial Hirohito government during World War II to death, including former Prime Minister Hideki Tojo, back in 1946. Shurijo Castle prospered as the Ryukyu Kingdom’s center of politics, diplomacy and culture for 450 years, well into the late 19th century. 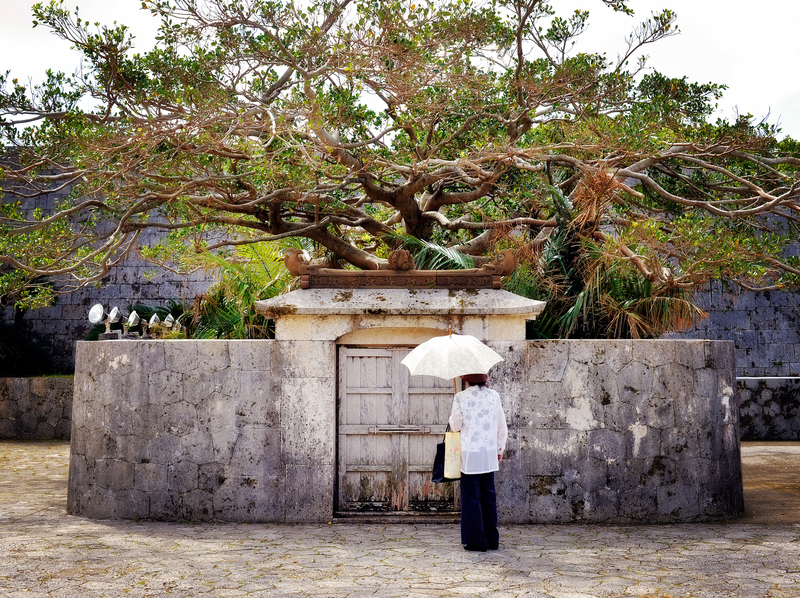 The castle was the residence of the Ryukyu Kingdom’s King and royal family, as well as the headquarters of the Shuri government, which traded with China, Japan and far-reaching Asian countries, shaping forever the distinctly Okinawa society. 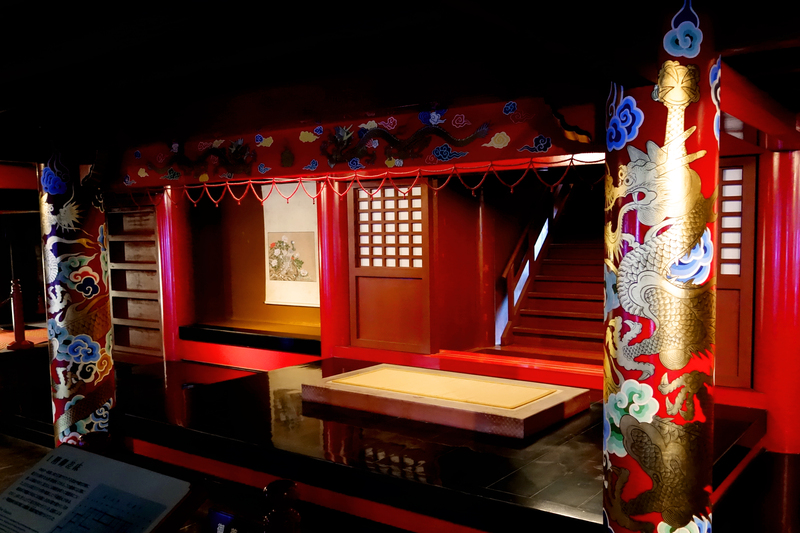 Shuri also served as the heart of the kingdom, a center of culture and the arts, where classical court dance was born in order to welcome Chinese envoys and ambassadors. 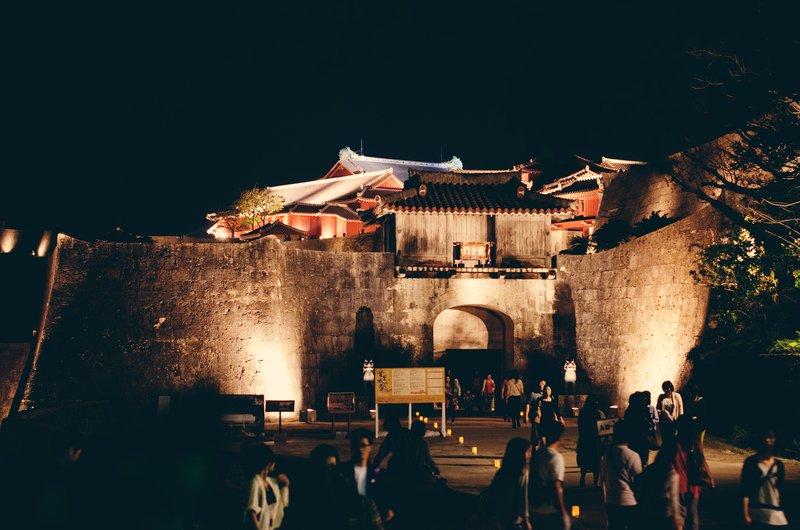 After the Ryukyu Kingdom was unilaterally annexed by Japan in 1879, the King was removed from power and position, and the castle was relegated for use as a simple barracks for the Japanese army, falling into some significant measure of disrepair. 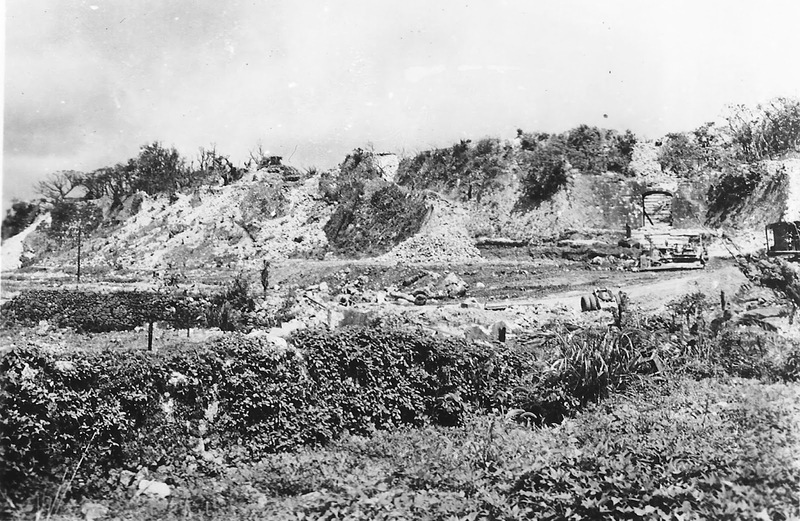 A “National Treasure” before World War II, it was fiercely attacked for three days during the Battle of Okinawa since the Japanese military had located its headquarters in the castle’s underground maze of natural caves and tunnels. 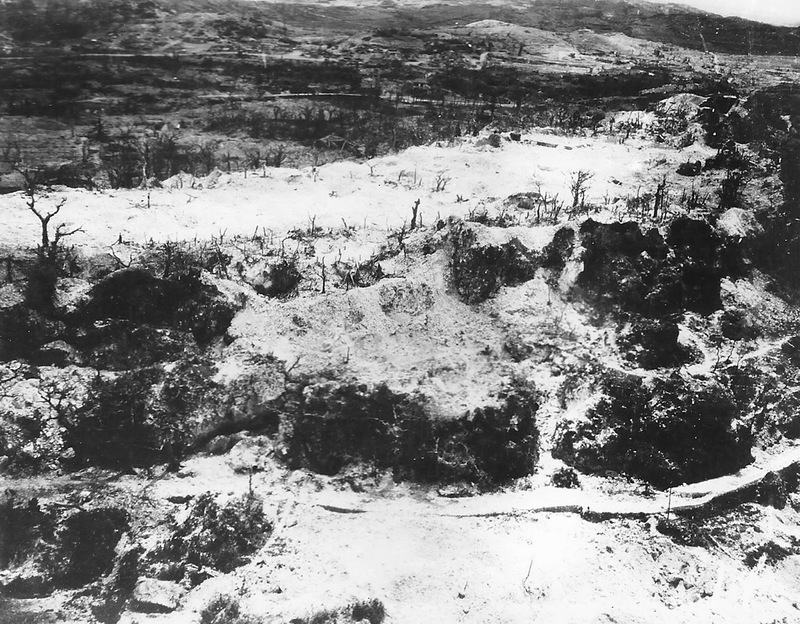 On May 27, 1945, Shuri burned for the fourth and last time, and was effectively razed to the ground by intensive shelling and bombardment. 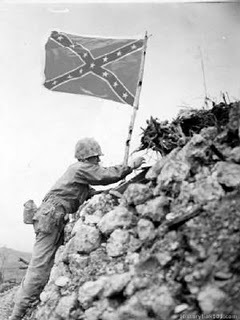 Oddly enough, upon capture a Confederate battle flag was hoisted over the castle by the “Rebel Company,” Alpha Company of the 5th Marine Regiment, and there remained visible for three days until it was ordered removed by Marine General Simon B. Buckner, Jr., himself the son of Confederate General Simon Bolivar Buckner, Sr., who felt that all Americans helped to win the battle, and was replaced by a more appropriate standard. 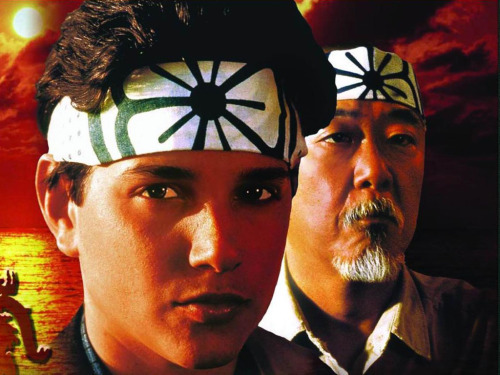 For an interesting take on the role and continuing consternation over this odd intersection of flags, see Should the Rising Sun Finally Set. After the war, plans were set in motion to rebuild and recapture the past. Castle reconstruction began in 1958, and was largely completed in 1992 with the restoration of the complex’s main buildings. 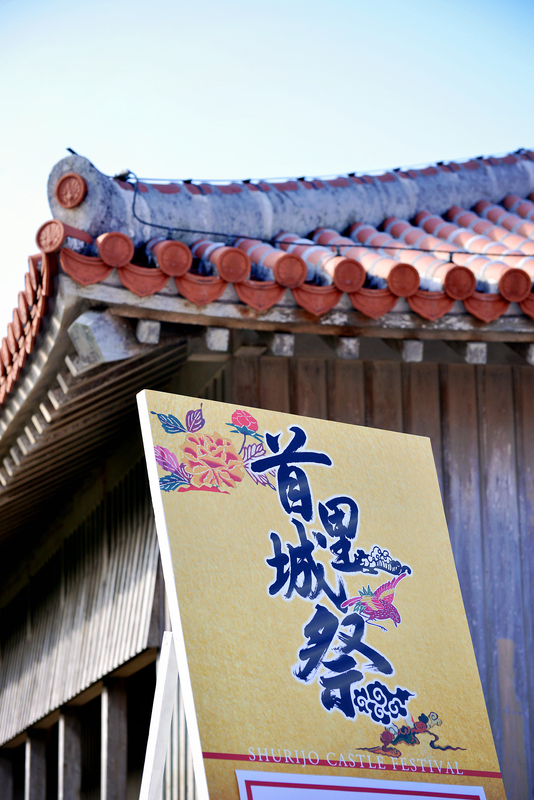 In 2000, along with other gusuku, it was designated as a UNESCO World Heritage Site. 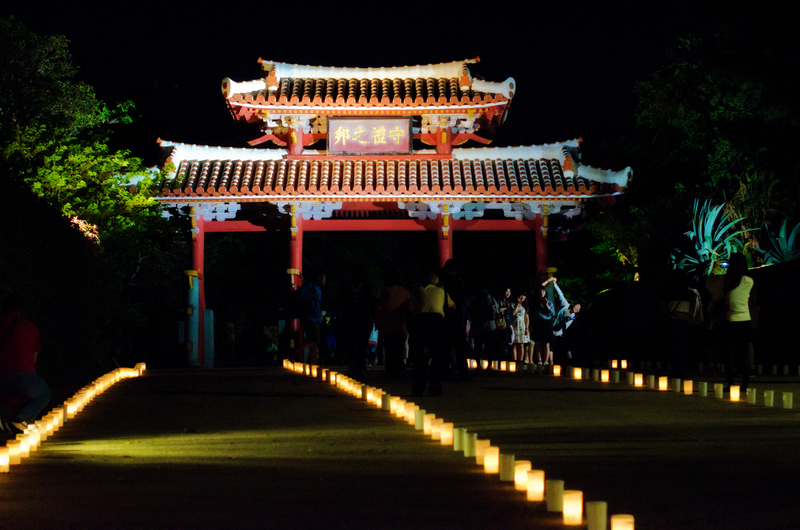 See more on the Castle and other festivals held there in my blog Hidden Harvest Moon. Jody and I went down early and parked near the castle, then took the city’s monorail over to the parade grounds. We thoroughly enjoyed the parade for close to two hours, trying to take in as much of the show as our overwhelmed senses would allow. Jody let me jockey for a better photog position, which is thankfully much easier here in Asian surrounded by rather polite Japanese. While I’m still sorting and sifting through over a thousand photos taken on no less than three cameras, a few selected ones are included here to help demonstrate the pomp of the ritual. After the parade we decided to try another one of the “Sam’s” eateries, a popular chain here on Okinawa, and enjoyed an overpriced but delicious teppanyaki lunch at Sam’s Anchor Inn while we recharged our bodies and reset our senses. Taking the monorail back to the castle, Jody finally was able to tour the inside of the primary buildings of the castle, and we both attended a few displays of traditional Okinawan arts on the stage nearby. We were, on the one hand happy that there were very few Americans in attendance, but saddened at the same time by this lack of interest and participation. 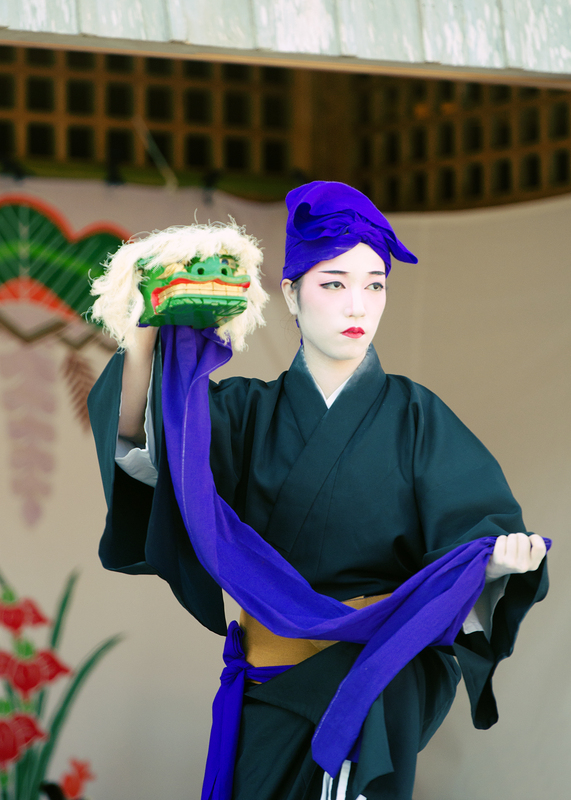 Although Culture Day is statistically one of the best days of the year weather-wise – in Tokyo there have only been three years with rain in something like 40 years – the forecast is often much different in the sub-tropics, including Okinawa. While the rain Sunday night didn’t keep the crowds away, it did cut short our enjoyment of the candle-lit grounds during the Shurijo Castle Illumination. Jody’s sleeveless blouse, which threatened to lead to sunburn just hours before, was ultimately no match for the strong fall winds and cold rain of early November. But she sure does have nice shoulders. And besides, it gave me a chance to hold her close as we strolled through the romantically candlelit castle grounds on the way back to our car to zoom away to a steaming bowl of Ramen and freshly fried gyoza. Thank you, Jody, for sharing this day of culture with me. 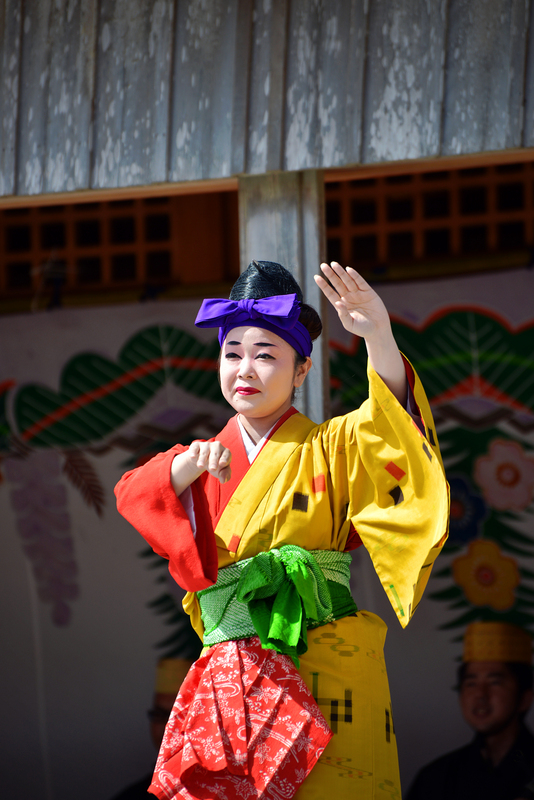 See my Flickr Set Shurijo Castle Festival 2014 for more photos as I process and post them.